Nice has the best ice cream! Creamy, smooth or crazy, there's something for everyone at Nice's ice cream shops. Stay true to classic flavours or go for original combos concocted by artisan ice cream makers the likes of which you won't find anywhere else. Check out the top 5 ice cream shops in Nice unearthed especially for you by the Best Western Hôtel New York Nice! Ice cream shop windows will get your mouth watering especially when the weather's hot on the Côte d’Azur. To help you choose, the Best Western Hôtel New York Nice has selected the best ice cream shops in Nice. Before, after or during your shopping trip or chill-out day on the beach, treat yourself to a cheeky refreshment with a tasty ice cream. Fenocchio is the best-known ice cream shop in Nice. You'll find all the flavours you can imagine and surprises galore at this shop that's been on Place Rosseti in the heart of the Vieux Nice since 1966! There are classics like chocolate, vanilla and strawberry alongside more unusual flavours such as lavender, basil and tomato! At Arlequin Gelati Italiani, the ice cream maker is from Milan and the ice creams are moreish! Experience far-flung flavours and tickle your tastebuds with original delicious Italian ice creams. Have an ice cream in homemade cones at Gelateria Azzuro, the Vieux-Nice ice cream shop makes them before your very eyes! If you've got a real sweet tooth then go for XXL sundaes packing in up to 10 scoops of ice cream. 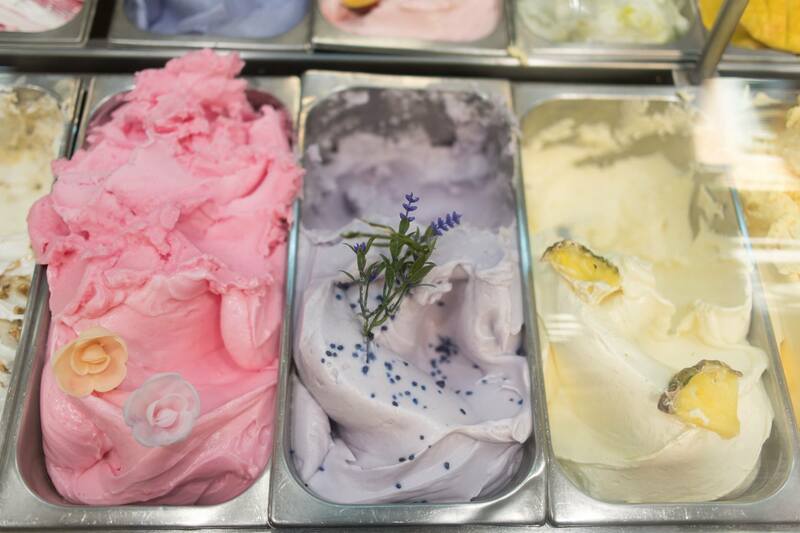 Nestled in the heart of Nice old town, oui, jelato brings you creamy artisan ice cream. The family business has been around for 10 years making homemade ice cream from quality produce and hand-picked ingredients. Peccati di Gola, an Italian ice cream shop in Nice, is all about quality over quantity! Classics with chocolate and vanilla are a treat and you can also enjoy dairy-free ice cream made using soya milk! Tickle your tastebuds and cool off during your break at the Best Western Hôtel New York Nice. 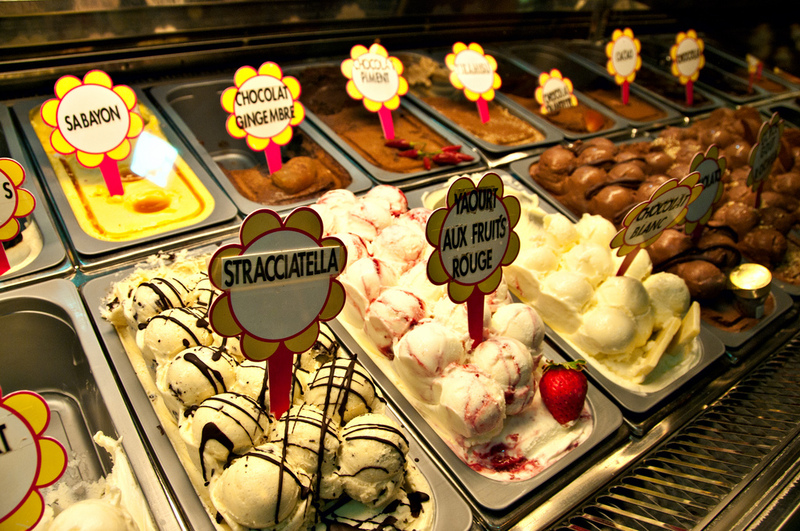 Enjoy Italian ice cream from the best ice cream shops in Nice! The list of restaurants is for reference only, the hotel accepts no liability. The Best Western Hotel New York Nice has come up with 5 romantic walks to enjoy hand in hand during your weekend. Nice is the most romantic city on the French Riviera, combining the sea and the mountains. When you stay in one of the most beautiful 3-star hotels in Nice, you will fall in love with the historic façade and the top-quality rooms. Spending your holiday in Nice is a guarantee of making wonderful new discoveries each day. The capital of the French Riviera is brimming with historic monuments, impressive views and hidden treasures. See the Best Western Hotel New York Nice's selection of 5 sites not to be missed during your stay in Nice. As the foodie capital of the Côte d’Azur, Nice takes great pride in its many signature specialities: socca, pissaladière, salade niçoise, etc. The Best Western Hôtel New York Nice brings you 5 local recipes that are soaked in sunshine and Southern France. Try them on the restaurant or beach on your great gourmet getaway!